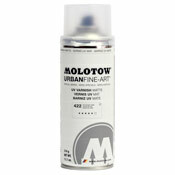 Question: Whats up with the montana caps not working with the molotow cans? AP Reply: they have different valves. Many spray paints have different valves. thats one of the joys of learning about brands.